NORFOLK, Va. (WVEC) — Crew members aboard the aircraft carrier USS George H.W. Bush (CVN 77) honored the former president on Wednesday. 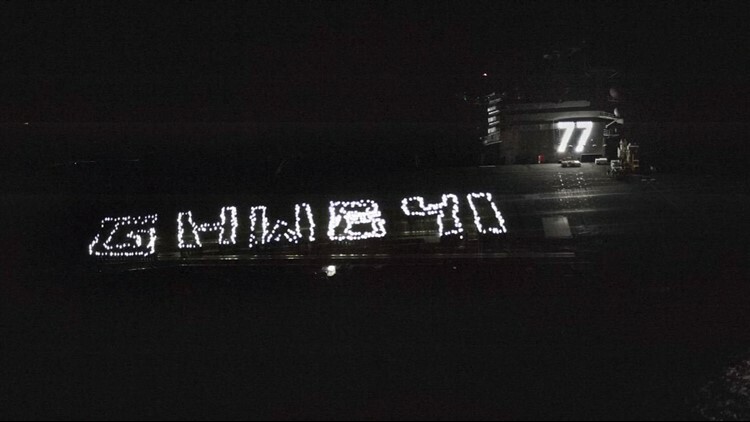 They stood on the flight deck of the Norfolk-based ship and held flashlights up to the sky to spell out "GHWB 41" in his memory. The ship's designation, "77," also was lit. USS George H.W. Bush is the Navy's tenth and final Nimitz Class aircraft carrier. It was commissioned in 2009. A 996,000-ton testament to the man sails the seven seas today, and will for decades to come.